As a business owner, preparing for accidents and injuries is critical to protect your staff and customers. When equipping your business, don’t forget to add essential safety products to your facility and breakroom supply. The saying it’s better to be safe than sorry rings true. We outline some of the top products to prepare for the unexpected as well as to help avoid potential injury. Be prepared for interior office fires with the incorporation of the Kiddie Pro Line Fire Extinguisher. This product is rechargeable and offers almost 3 pounds of extinguisher material to keep your staff safe. 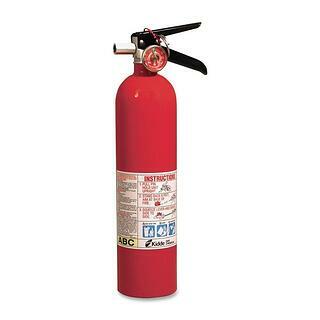 The durability of this fire extinguisher is apparent, with its impact resistant metal valve and handle. 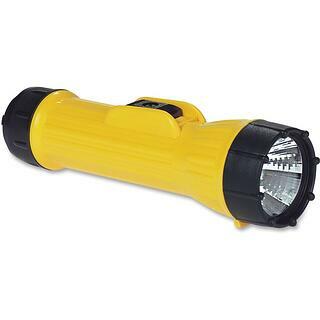 In case of a power outage, be prepared with the heavy duty 2-D Bright Star Flashlight. Don’t worry about over using this ultra tough product that features an unbreakable lens. Feel confident and secure that no matter how long your power outage lasts, that there will always be a bright light. The vacuum reflector shines for up to 30,000 hours of use. Known as the silent killer, carbon monoxide can be a serious threat to the health of your staff. 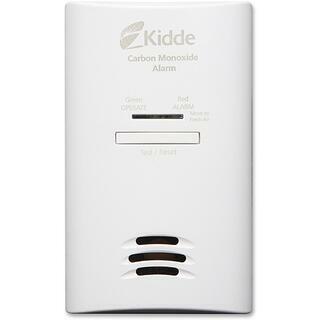 Rest assured with the purchase of the Kiddie Carbon Monoxide Alarm that will operate even if there is a power outage, with its battery powered backup. The durable and effective design notifies users if the product becomes unplugged. The LED lights allow for easy monitoring – offering you the ability to identify when it’s in alarm or normal mode. Not only is it important to have safety supplies in the case of an emergency, it is also critical to have products on hand to prevent injuries. This Rubbermaid Lightweight Caution Floor Sign has “caution” imprinted in English, French, and Spanish, for any multilingual employees or staff members. 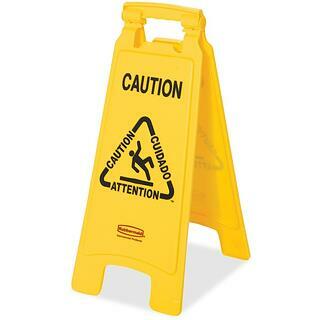 Prevent slip and fall accidents with this preventative maintenance product. This two-sided product can fold flat for easy storage and transportation. This first-aid cabinet comes with 94 pieces including bandages, CPR masks, antiseptic towels, antibiotic ointments, scissors, and many more essentials. 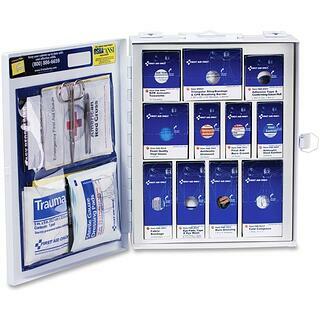 This customized cabinet is so simple to use and reordering inventory is a breeze. This cabinet complies with 2015 ANSI Class A requirements and can serve up to 25 people.